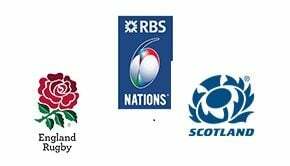 Hopes for a winning Scottish start to the Six Nations Rugby Championship in 2019 rests on a good performance at home in Edinburgh against a much-improved Italian side. Scotland may have won only two of their last four internationals, however, coach Gregor Townsend believes the recent run of Tests for his team has them better prepared than ever before in the Six Nations. 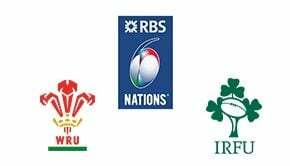 Scotland play England and France away, and Wales, Ireland and Italy at Murrayfield. Townsend says many lessons were learnt from November’s Tests, and there has been a drastic improvement from his players at training. Scotland finished last year’s 6 Nations in third-place with three wins for only the second time since five nations became the current six, with Coach Townsend keen to see continued improvements from his side. Italy not are here to merely make up the numbers. 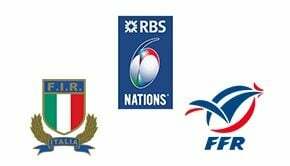 Coach Conor O’Shea recently named his Italian Six Nations squad, with his team looking to avoid another wooden spoon in 2019 and legends, Sergio Parisse and Leonardo Ghiraldini, will assist the cause. However, with Jake Polledri and Matteo Minozzi ruled out through injury, the Azzurri may struggle. 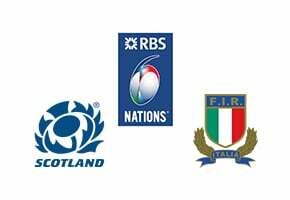 The Scots can should inflict a heavy defeat on the Italians on the back of their players from club teams Edinburgh and Glasgow being in-great-form. Scottish coach Gregor Townsend is urging his team to take full advantage of playing their first two games, against Italy and Ireland, at Murrayfield. Played 29. Scotland Won 21. Ireland Won 8. Scotland came from behind to beat Italy 29-27 in the 2018 6 Nations. Scotland have won the 6 Nations title 15 times, to Italy’s 0. The Italians have won the wooden spoon in 13 out of 19 years. Scotland’s Stuart Hogg won Player of the Tournament in 2016 and 2017. Italy last defeated Scotland, 22-19 in 2015 in Edinburgh.